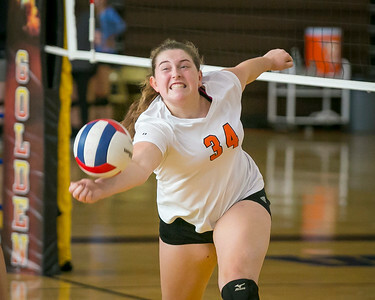 Daryl Quitalig - For Shaw Media Crystal Lake Central outside hitter Madelyn Blake (35) hits the ball in the first game of the Jacobs Volleyball Invitational championship match Saturday, Sept. 2, 2017 at Jacobs High School. The Tigers beat Batavia, 25-20, 26-24, and finished the tournament 5-0. Daryl Quitalig - For Shaw Media Marian Central outside hitter Rachel Graham (7) prepares to bump the ball in the second game of a Jacobs Volleyball Invitational semifinal match against Crystal Lake Central Saturday, Sept. 2, 2017 at Jacobs High School. 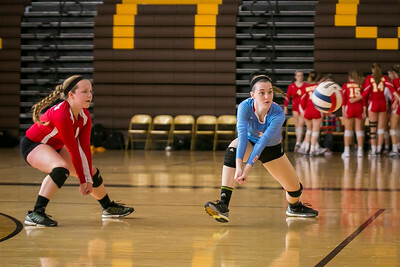 Marian Central lost, 25-14, 25-22, but would later defeat Waukesha (Wisc.) 19-25, 31-29, 25-18 to take 3rd place. Daryl Quitalig - For Shaw Media Crystal Lake Central middle blocker Paige Hulata (34) bumps the ball in the second game of the Jacobs Volleyball Invitational championship match Saturday, Sept. 2, 2017 at Jacobs High School. The Tigers beat Batavia, 25-20, 26-24, and finished the tournament 5-0. 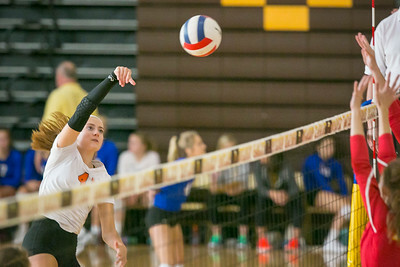 Daryl Quitalig - For Shaw Media Crystal Lake Central outisde hitter Camryn (cq) Hausler (50) spikes the ball in the second game of the Jacobs Volleyball Invitational championship match Saturday, Sept. 2, 2017 at Jacobs High School. The Tigers beat Batavia, 25-20, 26-24, and finished the tournament 5-0. 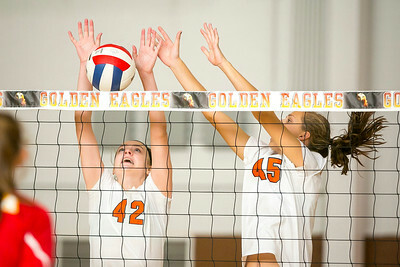 Daryl Quitalig - For Shaw Media Crystal Lake Central setter Megan Kelly (42) and middle blocker Madeline Timmerman (45) block the ball in the first game of the Jacobs Volleyball Invitational championship match Saturday, Sept. 2, 2017 at Jacobs High School. The Tigers beat Batavia, 25-20, 26-24, and finished the tournament 5-0. Daryl Quitalig - For Shaw Media Crystal Lake Central outside hitter Emily Kelly (41) spikes the ball in the second game of the Jacobs Volleyball Invitational championship match Saturday, Sept. 2, 2017 at Jacobs High School. The Tigers beat Batavia, 25-20, 26-24, and finished the tournament 5-0. 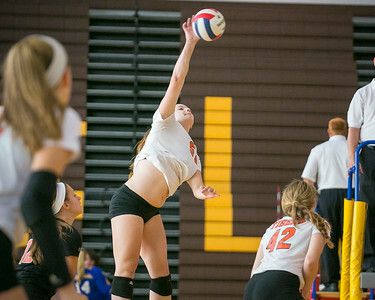 Daryl Quitalig - For Shaw Media Crystal Lake Central defensive specialist Kendall Lownds (12) bumps the ball in the first game of the Jacobs Volleyball Invitational championship match Saturday, Sept. 2, 2017 at Jacobs High School. The Tigers beat Batavia, 25-20, 26-24, and finished the tournament 5-0. 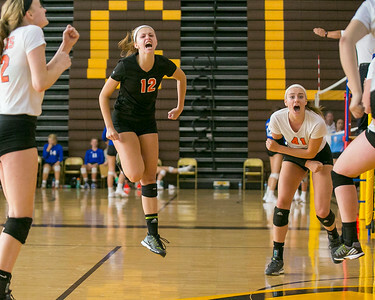 Daryl Quitalig - For Shaw Media Crystal Lake Central's Kendall Lownds (12) and Emily Kelly (41) celebrate a point withe teammates in the second game of the Jacobs Volleyball Invitational championship match Saturday, Sept. 2, 2017 at Jacobs High School. The Tigers beat Batavia, 25-20, 26-24, and finished the tournament 5-0. 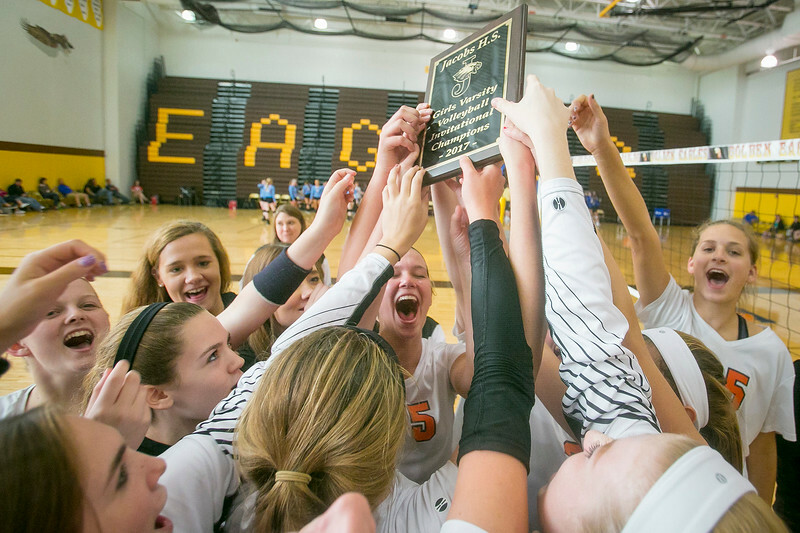 Daryl Quitalig - For Shaw Media Crystal Lake Central celebrates with their championship plaque after defeating Batavia 25-20, 26-24 in the Jacobs Volleyball Invitational championship match Saturday, Sept. 2, 2017 at Jacobs High School. The Tigers finished the tournament 5-0. 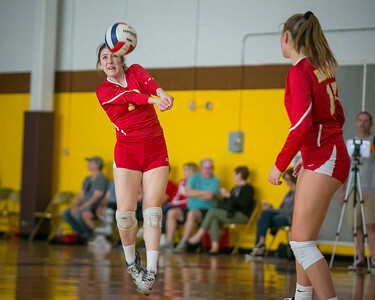 Daryl Quitalig - For Shaw Media Batavia setter Allie Zink (13) bumps the ball in the second game of the Jacobs Volleyball Invitational championship match Saturday, Sept. 2, 2017 at Jacobs High School. 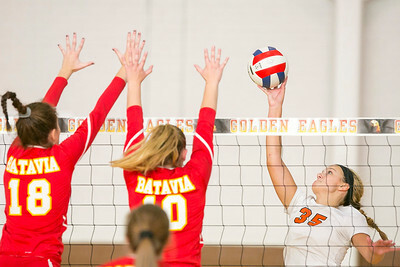 Batavia lost, 25-20, 26-24. 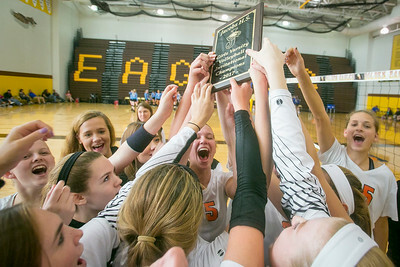 Crystal Lake Central celebrates with their championship plaque after defeating Batavia 25-20, 26-24 in the Jacobs Volleyball Invitational championship match Saturday, Sept. 2, 2017 at Jacobs High School. The Tigers finished the tournament 5-0.